Digital signage solutions are being exploited by most business owners today to give them a marketing edge over their competitors. There are many different benefits digital signage can have on your business, which may help you become more successful within your industry. It’s impressive. Digital signage attracts attention and it’s a great way to attract customers. Not only that, but people are more likely to pay attention if you are displaying promotions, information or news. Digital signage allows you to generate money from advertisers, especially for places such as large shopping centres. It helps to engage customers at the point of sale – refer to one of our previous blogs for more info. 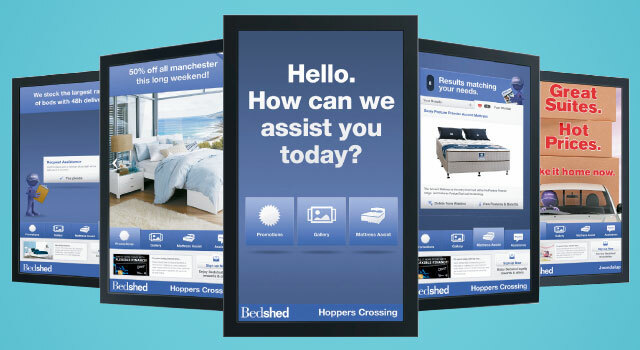 Digital signage can be used as a tool to interact with your customers. This can act as an extra salesperson or customer service rep when everyone else is busy – think of it as an entertainment medium whilst customers are waiting to be served. Can you think of any more reasons as to why people will benefit from digital signage? This entry was posted in Digital Signage, Marketing and Advertising, Tips and advice, Uncategorized and tagged #avtweeps, #digitalsignage, #proav, Chatter, digital signage, digital signage software by hsmith. Bookmark the permalink.